The 29 year old rapper that goes by the name Logic, knows he has made it in life, simply because he has done things not many rappers have, creating music that makes a difference. Also his album “Everybody, “released in 2017 debuted in the No. 1 Billboard pop chart definitely reflects success. Logic has had a whirlwind 2018 and here are the many defining moments of the year, which includes selling out the Madison Square Garden and his number one album. His album Bobby Tarantino 2 released back in March 2018 also reached the No. 1 on the Billboard 200 albums chart. He was extremely proud of such an achievement from only a mixtape and he noted that a mix tape debuted chart topping is a dream people in the rap industry strive to achieve. Not only was the rapper nominated for the song of the year at the 2018 Grammy’s, what’s more important to him was that he got perform his mental health awareness anthem “1-800-273-8255” alongside Alessia Cara and Khalid. Which I just must add was a brilliant idea on naming the song after a number of the crisis hotline phone number. The amount of praises and pats on the back he received was indeed well deserved. Rather than singing about girls and alcohol, he took a different approach that would have saved lives. He once recalled a moment at the Grammys when he rushed to the bathroom during a commercial break and knocked DJ Khaled’s phone, almost shattering it. “He pulled out another phone and was like, ‘Another one!’ Just kidding,” he joked. Born Sir Robert Bryson Hall II, Bryson embodies the classic tale of rags to riches. I know almost every other rapper has a tale quite similar, but he was a son to parents who are drug addicts, he grew up poor. And as a kid with dreams and goals he realised he could perform. Despite the mainstream success, he stays humble and always describes himself as a nerdy rapper whose mantra is the triple “P’s” peace, love and positivity. If any of you don’t believe me, there are evidence all over the internet of his geekiness, he can rap while solving a Rubik’s Cube, which he has done on stage multiple times. Logic stands out from the rest simply because it’s his openness and contemplation. He makes sure he has a bond with his fans, a connection that not many artist are willing to do. And it’s especially easy with social media at our finger tips. Logic uses Instagram and Twitter to foster intimate fan interactions, which has helped build his career immensely. All in all, every success and tribulations he has gone through, with his personal and career endeavours sure has proven to him that with handwork and termination one will achieve success, emotionally, physically, and mentally. 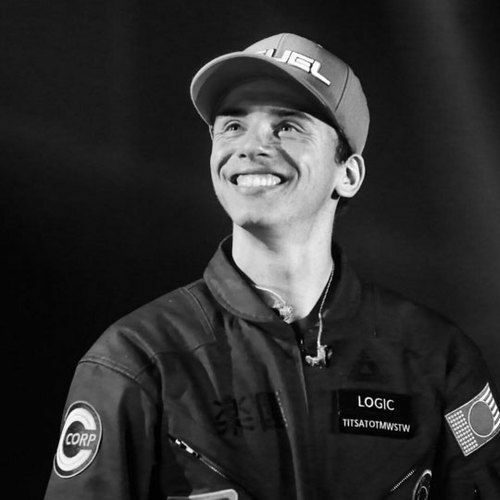 Happy Birthday Logic! Keep doing you.